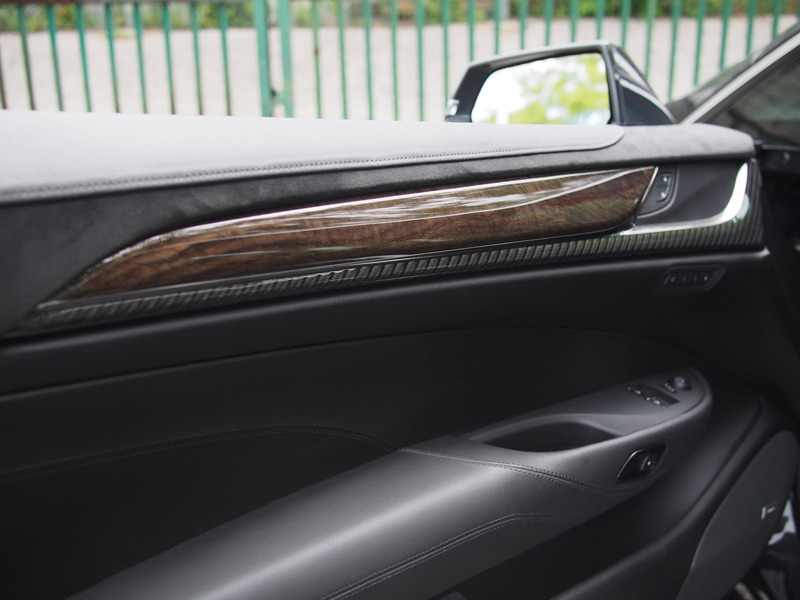 What happens when you dress up a Chevrolet Volt in $80k worth of leather, wood, suede, and carbon-fibre? You get Cadillac's first electric vehicle, the ELR. And thankfully, the expensive make-over didn't turn it into an chrome-blinged abomination, it's rather pretty and is the closest thing we've got to a new CTS Coupe. But $80k for a electric two-door Caddy that looks like it came from the future? That's over $40k more than the Volt, heck it's actually double the price of the Volt. Is the ELR really that good? First off, the technical aspects. 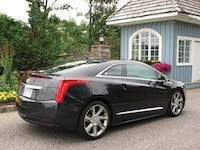 The new Cadillac ELR shares a 1.4-liter gasoline engine and 16.5 kWh lithium-ion battery pack with the Volt. The four-cylinder engine acts more of a generator to power the battery rather than the wheels, meaning it is always running on electricity, just with a friendly push from the 91 octane when the electron juice has bled dry. 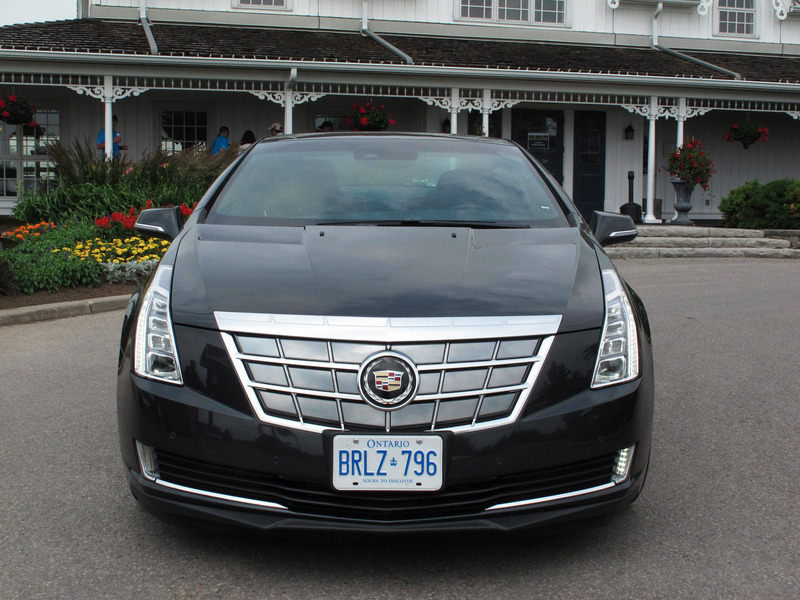 The ELR boasts a net output of 181hp and 295lb-ft of torque (the Volt's numbers are 149 and 273, respectively). While it isn't the most powerful engine out there, the throttle response, as with every other electric vehicle, is absolutely instantaneous. Funny thing is, when I put my foot flat on the throttle, I get a bit confused - the ELR launches forward, my head gets pushed back on the headrest, the windows and trees start blurring, but not a tick of engine noise. My mind would normally expect at least a "vroom" from the exhausts, or some form of auditory stimulus that tells me the car is speeding up - but no, not with this one. When sitting in the ELR cabin you could hear a pin drop , and what's fascinating is that you start to hear noises you normally wouldn't hear in gasoline cars - the tires rolling against the tarmac, the racketing of loose engine parts. Admittedly, the ELR is one of the comfiest, and quietest cars I have ever driven. But it hasn't proven its worth over the Volt just yet. Speed isn't really the highlight of an electric car review, but rather the range and mileage are. 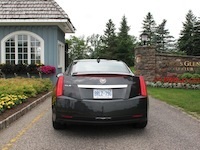 Cadillac says a full electric charge alone will take you 60 kilometres, but when combined with the fuel generator, it will last you up to 545 kilometres depending on the terrain, driving conditions, and temperature (you will have less mileage in the cold). The measly range of 60 kilometres doesn't outlast a Tesla or a BMW i3, but was enough to last through my daily commute from Markham to downtown Toronto and back. Well, just barely. Driving on highways takes a huge toll on the electric range, and 60km will be down to 30km before you know it when you're breezing down Highway 404 doing 120km/h, but there is a solution. The ELR comes with a driving mode called HOLD, where it puts the battery charge on standby and uses only fuel in the mean time. I discovered a method to optimally utilize the ELR's electric charge. Use gas for the highways, and electricity on city streets. This is because the ELR comes with a nifty function called Regen on Demand. See those paddle shifters on the steering wheel? No they aren't for changing gears, it's equipped with a CVT after all. Rather, holding down those paddles will get the wheel's momentum to drive the generator, hence slowing down the car, and simultaneously regenerating some battery. 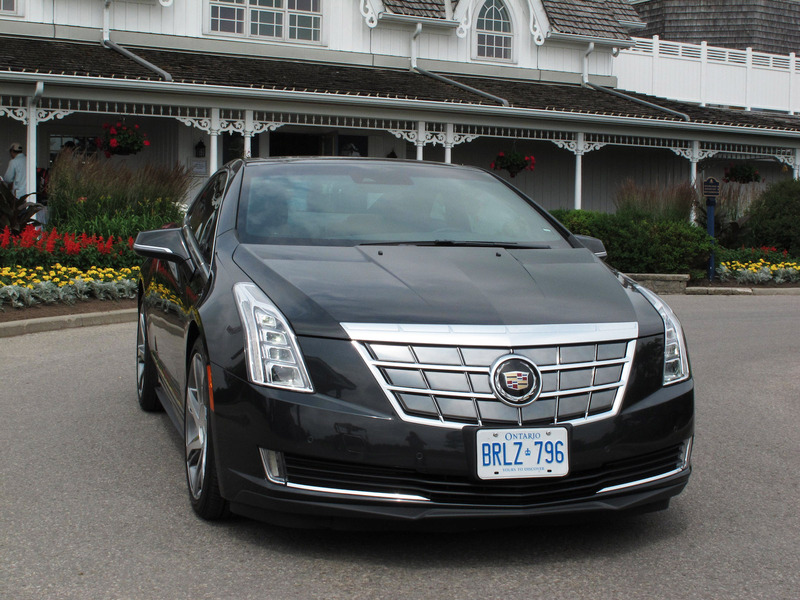 This makes the ELR perfect for stop-and-go traffic, where acceleration happens just as often as deceleration. Exploit this tech properly, and not only will you rarely need to use the brakes, but it reduces wear and tear on the pads as well. 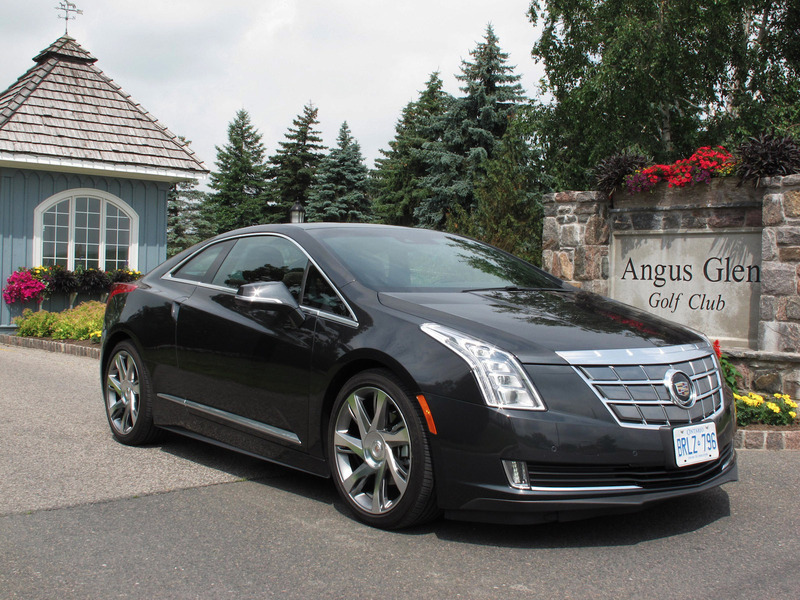 Even though the Volt and the ELR share the same engine and battery, the Volt's range rings up at 61km with electric alone, and 611km combined with the fuel engine. 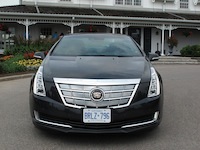 That's 66km more than the ELR, but surely that extra mileage isn't worth $40k. So far, it's not looking too good for the ELR. 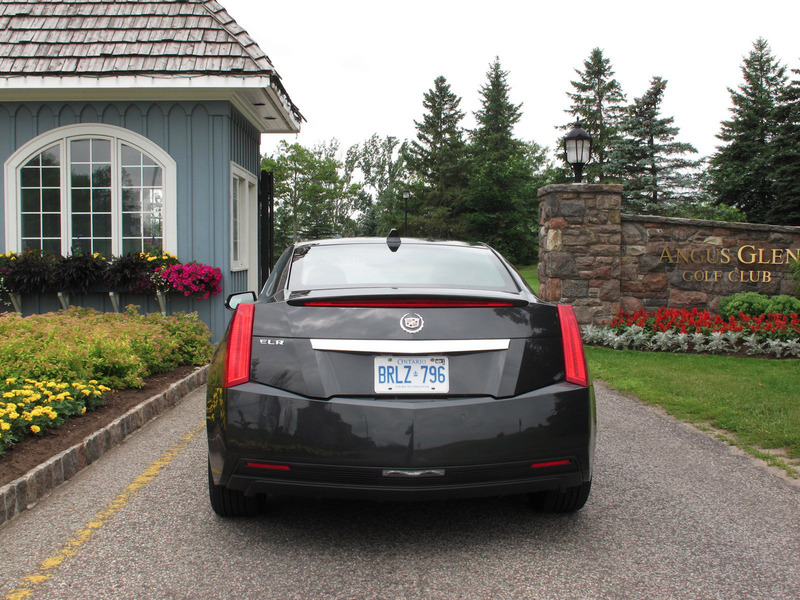 If the speed and range doesn't set the ELR apart, what does? 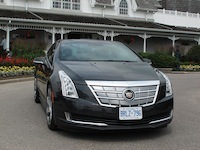 For starters, the ELR looks stunning and much more elegant and futuristic than the vanilla Volt. This is one of the rare examples where a car stays true to its concept, and looks nearly identical to the Converj that was debuted back in 2009. The design embodies the styling of a CTS coupe with a low gaping front end and an arched hunchback rear. The vertical taillamps are so massive that they carry over to the side lines and there are so many LEDs on this car that it could light up a christmas tree. That grille at the front? It's not really a grill. The pseudo-grill (is what I call it), is closed off for better aerodynamics, speaking of which, the ELR boasts a drag coefficient of a miniscule 0.305, making it more aerodynamic than a McLaren P1! Just look at that arrow-shaped front end, it looks like it's ready to slice through a watermelon. 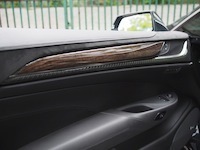 The door handles are also hidden away for a slippier airstream, so hidden in fact that when I tried to pick up my friend in the ELR, all I could hear from the outside was "How do I open this damned thing?". You might ask why there are bulky 20-inch wheels on this beefy two-door Cadillac. That's due to size and proportion - just imagine this ELR with skinny 18-inch wheels, it would look awkward and unproportional. 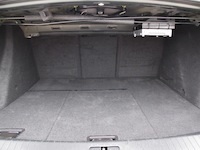 A keen eye would also notice the rear lacks any visible exhaust pipes - they are actually stowed away under the lower left side of the car. The exterior may be vastly different from the Volt, but it is the ride and interior quality that distinguishably separates the two. Open the massive doors and introduce yourself to a plethora of different materials that make the ELR's cabin feel lavish and first-class. There is such a large variety of textures and shades that all of a sudden, the price-tag of $80k starts to seem less atrocious. Leather wraps every inch of the front and rear seats, carbon fibre inlays are etched into the door panels, wood is accented onto the dashboard and everything else is fitted in with suede and chrome. You certainly won't find that in a Chevrolet. 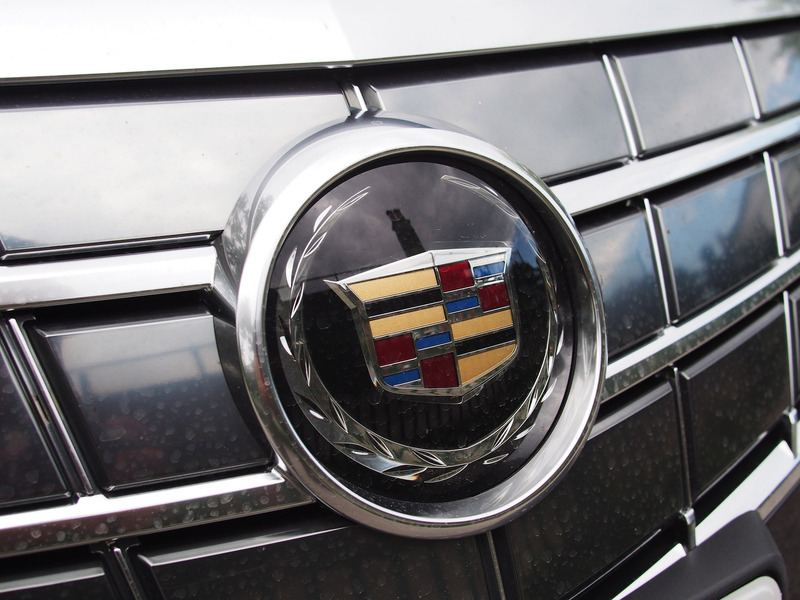 The ELR is geared up with Cadillac's CUE infotainment system. Lag is absent, but the touch controls and proximity sensors take some getting used to. I was never a fan of them to begin with, and makes multi-tasking with volume/air adjustment quite a hassle when concentrated on driving. I want some knobs and dials please. As mentioned above, the ride quality is sublime. This is in part due to the massive 20-inch wheels, but credit is also given to the Bose Active Noise Cancellation system that continuously monitors the engine noise and sends out opposite audio signals via the speakers to counteract unwanted sounds, resulting in a quiet and tranquil cabin. 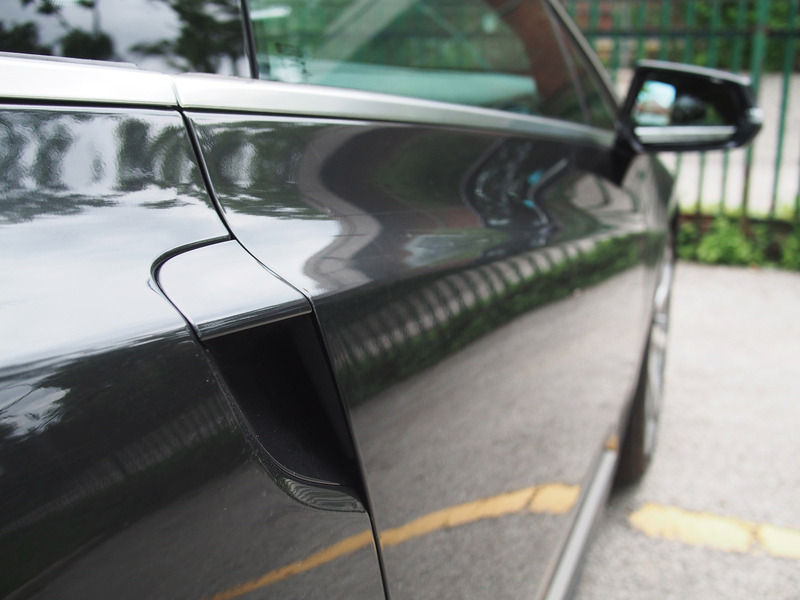 The CVT is seamless, braking is stiff but smooth - the ELR glides without a hassle. I have no complaints here. 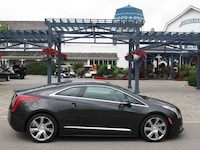 Forgive me for being blunt, but the Cadillac ELR proves to be a Chevrolet Volt that has undergone cosmetic surgery and taken a course in massage therapy. 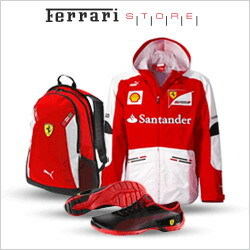 Even with lavish materials and a stunning design, the price-tag is difficult to justify. With that money you can buy a BMW M4 if you have changed your mind about electric cars (aka, for those who live in condos). Sales haven't been that great either, with many ELRs idling in dealer lots. South of the border, dealers have been desperately giving $10,000 discounts. That's even before the government incentives. But with a limited selection of electric vehicles to this day, finding one that is luxurious and comfortable can only be narrowed down to the Cadillac ELR, the Tesla Model S and the BMW i8, the latter of which is in another league. If you're looking for a car that doesn't play mainstream, and doesn't start with a T, and if you can justify the price, the ELR surely won't disappoint.